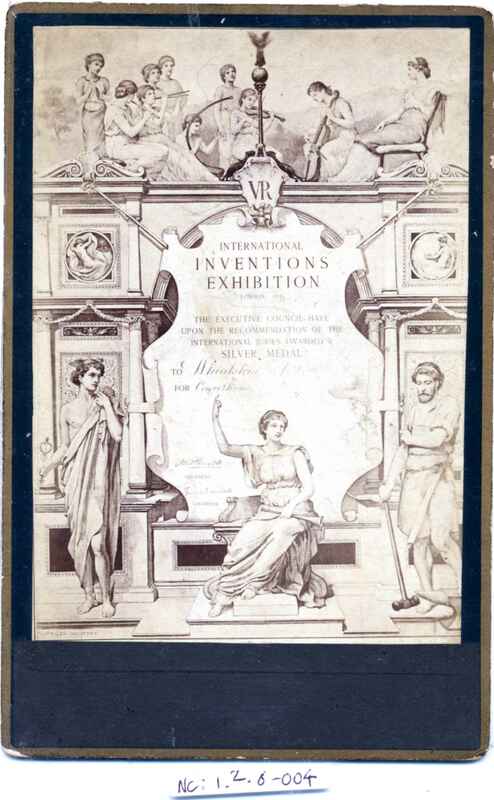 Full Description: An original Carte-de-Visite bearing a full-sized image of Wheatstone and Co's illuminated Award documents from the 1885 International Inventions Exhibition, for which the company received the Silver Medal for their concertinas. 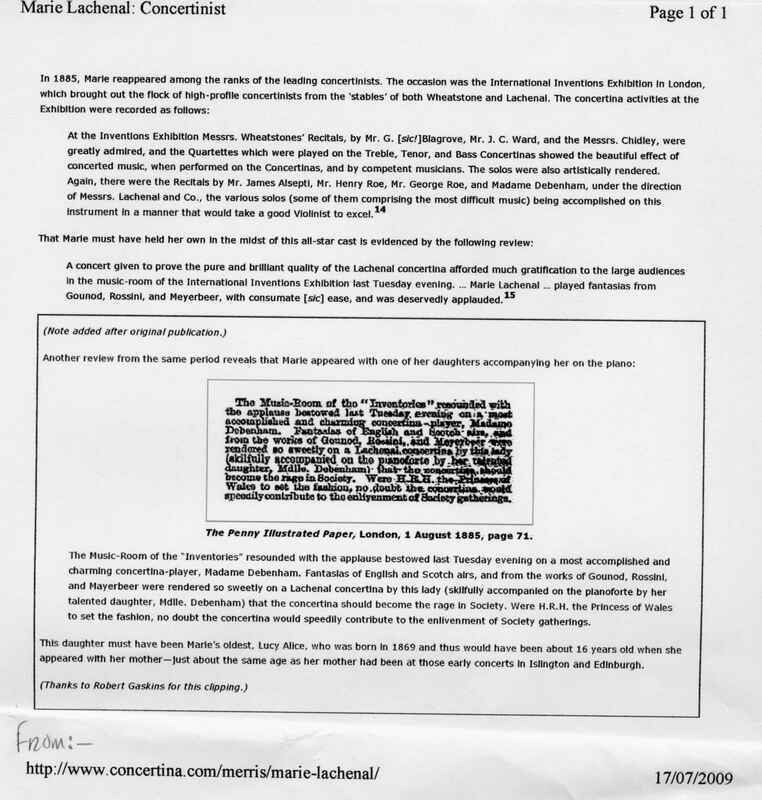 Together with a text from Randall Merris's research, reporting the appearance of Madame Debenham (Marie Lachenal) and her daughter at the exhibition's Music Room. Marie Lachenal's decorative Lachenal concertina, made of rare Australian"She-Oak", and with silver keys and gilt embossed bellows and straps, is in the Collection as Concertina C-310. The Merris article also lists the many other noted players of the 1880s who appeared at the Exhibition - Blagrove, Ward and the Chidley Bros., Alsepti, etc.